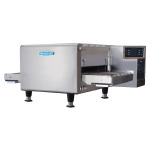 The Turbochef HHC1618STD-48 countertop conveyor oven is perfect for making toast, pizzas, and more. The conveyor belt is 36 inches long, but 6-inch extensions are included. The belt can run left or right, and changing the direction is simple with software. An impingement airflow system has top and bottom air that recirculates and comes with various speeds; this system eliminates the need for a vent. Its control system has eight cooking profiles that control the temperature, belt speed, and top and bottom airflow. Most of the exterior and all of the interior are constructed of stainless steel for corrosion protection and durability in commercial settings. The covers and panels stay cool to the touch to prevent injury. The chamber cook opening is 16 inches wide to provide space for pans. With a mono-finger design, this unit is easy to clean. Up to three ovens can be stacked on top of each other but only with a separately sold stacking kit. 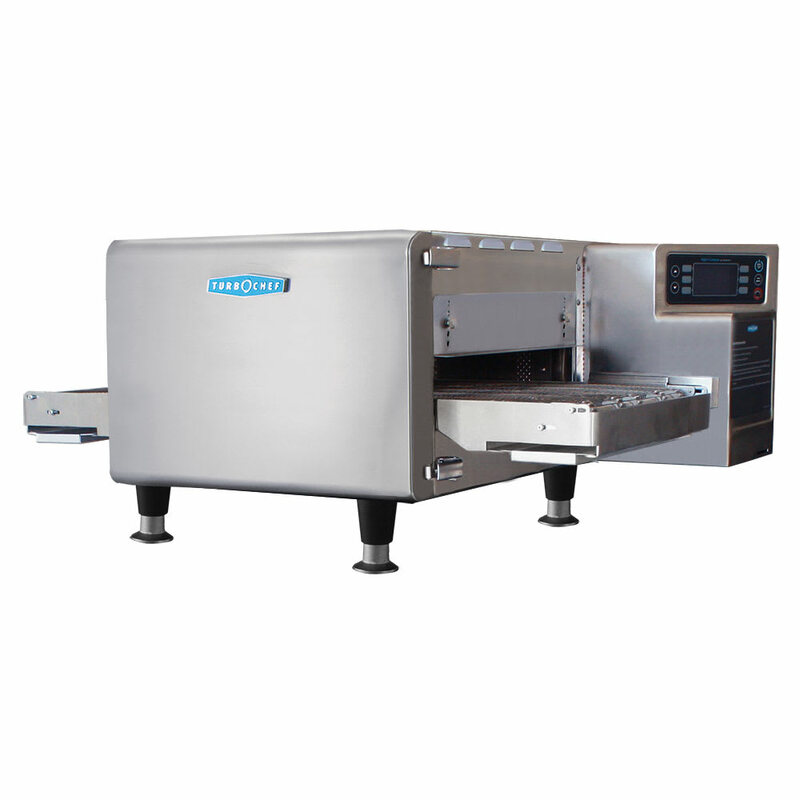 The Turbochef HHC1618STD-48 countertop conveyor oven has an internal catalytic filtration that limits smoke, grease, and odor emissions.